Of course, Super Bowl 2015 will be remembered for one thing. No, not the New England Patriots victory or the final quarter brawl, but Katy Perry’s ill-co-ordinated back-up dancer. The singer’s half time show was a massive hit on Twitter as viewers spotted a shark-costumed dancer being somewhat out-of-sync with the choreography. But the real money battle was off the pitch, as dozens of brands sought to get viewer’s attention in the ad slots with numerous digital-linked commecials. Often a showcase for some of the most creative marketing of the moment, we look back at some of the most successful, innovative and also poorly-judged ads of Super Bowl 2015. McDonalds certainly took the prize fior most innovative digtal aspect of the campaign, with a two-pronged strategy to get people talking while watching the game. It used its 2015 ad to announce that the fast food chain will accept a new form of payment. Starting Feb 2nd, the chain will let random customers pay for their food with different forms of what McDonald’ s calls “lovin’,” which could include selfies and hugs. ” Customers who order items during preselected times will get to participate in the deal. McDonald’s employees will let customers know if they get to “Pay with Lovin’.” The ad showcased how the scheme will work in restaurants. In a further gesture of goodwill, McDonalds then pledged to giveway all other products advertised in the superbowl to lucky contest winners. From Toyota Cars to Locktite superglue (we presume). McDonald’s advised Twitter users to follow the chain during each commercial break. During the first break, spots for TurboTax and Toyota aired. The chain posted tweets about each ad, complimenting the marketer, the ad or its products in some way. McDonald’s then be monitored who retweets each tweet, and gave away every product advertised during the Super Bowl, including the big-ticket items like cars. The idea was created by Omnicom’s DDBChicago, with the Marketing Store, a longtime McDonald’s agency that handles its contests. Straight from out of left field, Loctite’s first-ever Super Bowl ad succeeded in getting people to talk about the brand. The super glue brand’s spot featured a variety of people in fanny packs (known in the UK as Bum Bags) dancing and using Loctite to fix things. At the end, a couple says “Loctite saved our marriage.” The hilarious ad from the 52-year-old German glue company managed to win big on Twitter by playing to the Internet’s collective fondness for all things offbeat. The YouTube version of the ad invited users to start their own Loctite party, with links to the brand site. The Minneapolis ad agency Fallon made the pitch more than a year ago. Would its new client, gluemaker Loctite, be interested in a first-ever Super Bowl ad? “We wanted to look at that category differently. Why not do it on the market’s biggest stage?” said Chris Lawrence, Fallon’s director of account management. 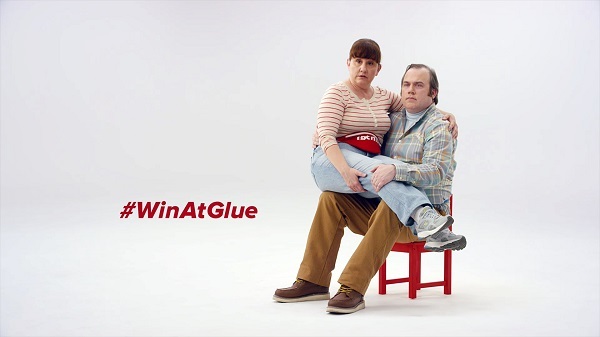 “It’s all about doing the right thing.” With little hesitation, the Ohio-based maker of Super Glue agreed, even though the $4.5 million price tag for 30 seconds of broadcast time dwarfed its previous advertising budgets for an entire year. “This is where Loctite can get the level of engagement and conversation that it deserves,” said Pierre Tannoux, Loctite marketing director. The ad got plenty of buzz on Twitter, an attracted further media coverage for its bold gamble to invest its entire yearly media budget into one ad. Snickers produced one of the most buzzworthy spots of this year’s Super Bowl commercials, using digital trickery to insert Danny Trejo and Steve Buscemei into unlikely roles at the All American family. Original episodes of the The Brady Bunch have been off the airwaves for more than four decades. This 30-second ad boasts a perfect blend of nostalgia, humour, digital trickery, character acting, and absurdity. From the moment it hit YouTube on Jan. 29, “The Brady Bunch” by Snickers has been touted as one of this year’s best Super Bowl commercials — and it continues to earn strong reviews from critics as lists of 2015’s top ads roll out. Putting a bargoer into a life-size Pac-Man maze, our Bud-drinking hero must evade real-life Inky, Blinky, Pinky and Clyde. Bud Light’s ambitious 2015 Super Bowl spot took an early lead in the race to win the most YouTube views, thanks to plenty of early social media buzz. While the actual commercial only boasts about 13 million views as of Sunday evening, videos featuring content from the PacMan shoot brings Bud Light’s YouTube impressions to well over 100 million for this ad alone. It appears that Budweiser was particularly aggressive in paid social for both Budweiser and Bud Light during the event. The brand bought Promoted Tweets against keywords from some of this year’s smaller Big Game brands, including Newcastle, Loctite and Mophie. At one point later in the game, Loctite was trending on Twitter, which may have caused A-Bev’s social team to act quickly and buy promos against the “Loctite” search term. Once the glue maker realized what was happening, it sent out a tweet warning Budweiser to back off of its social turf. The ad may be the first time a feminine care product was advertised during the Super Bowl and is a prominent example of how companies trying to woo women customers are shifting advertising tactics. Historically, shampoo ads have focused largely on selling women a more idealised version of themselves, but Procter & Gamble’s Always are now selling products to women using a combination of empowering messages and realistic portrayals of their target shopper. It was showcased in a 60-second spot during the big game. Created as part of its #RealStrength campaign, the ad was simple in its execution but managed to tear at millions of heartstrings both online ahead of the game and when it aired during the 2015 Super Bowl. Budweiser scooped the top spot for the third year in a row for views and social media buzz. Taking another canine theme, its Lost Dog ad gained more than 2m shares online, also placing it fourth in the ranking of the most shared Super Bowl ads ever, according to video ad tech firm Unruly. The ad makes a strong case for the phrase “if it’s not broken, don’t fix it.” The beer brand’s iconic Clydesdale horses star alongside a painfully cute Labrador puppy once again in this spot. What happen’s when God’s mobile phone dies? This controversial (and epic) ad from little known smartphone accessory firm Mophie was being pegged as a front-runner in the annual ad race by critics well before it actually aired on game day. The commercial purports to show what their fictional world says would happen if God’s smartphone was low on battery life. That’s when the tsunamis ensued, there comes massive looting — even by a priest wearing his collar and stealing a flat screen TV — and a man is walked by his dog, not the other way around. The spot essentially taps into the sense of chaos and horror that many of us now feel when our cellphone battery dies (a problem that Mophie, purveyor of battery-charging phone cases, hopes to help eliminate.) The sense of urgency created within the ad, combined with some eye-popping Michael Bay-style special effects, make for one impressive Super Bowl commercial. In stark contrast to the other ads here, another much-talked-about spot (for mostly wrong reasons) was Nationwide’s morbid commercial that showed a young boy saying that he will never learn to ride a bike, get “cooties,” learn to fly, travel the world or marry because he died from a preventable accident. While the brand was trying to highlight its “Make Safe Happen” program about increasing safety at home, the spot angered viewers.